Having Oculus Rift Setup issues? The ultimate guide. Heya, so after a few years on this forum and helping what must be a hundred people now with their issues I have compiled a few checklists and tips on how to get your Oculus Rift installed and working. This list is by no means exhaustive but might help. Although not every antivirus program will block the setup, many like BullGuard and MalwareBytes are very sensitive to any system changes, remember, this is not like installing a game. The app needs to create services, a special windows user, firewall rules, permissions etc to function properly. Bullguard is also known to block the setup’s ability to connect to Oculus servers. Unless you know how to properly configure inbound/outbound rules and other settings, disable or uninstall the antivirus during the main setup. I know it's a pain but it accounts for 90% of setup issues. Some users have reported that only by completely uninstalling Bullguard the setup will complete. Also to note BullGuard is known to prevent the proper operation of the Oculus App after setup, it can prevent games from installing, even if added to the exceptions list. Although after installation the Oculus App measures at roughly 11GB, it needs the extra space to complete setup procedures, such as uncompressing of files. So even though 14 is recommeneded by the setup, let's be on the safe side. Note: As with most software setups on windows, installing to a drive other than C will still result in some data being installed on C, esp in either Document and AppData folder. The Rift can draw quite a bit of power over USB, to avoid any issues with no image during setup unplug any USB devices that are not necessary, basically keep everything to a minimum. See some troubleshooting tips below. Some ISP’s are known to cache the setup files the software is trying to download, this can cause the “chunks” to become corrupted and prevent the setup from completing. I have seen this in New Zeland and Australia, in such a case using a VPN and connecting to a country next to you solves the issue. What if nothing works and I cannot get Setup to start the “Setting up your Rift” portion? 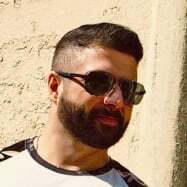 Several users have found out that their Windows User profile is the culprit, as an experiment, it is a good idea to create a new admin windows user, make sure it is a LOCAL user, not one associated with your Microsoft cloud login and try and run the setup from there. Try moving the USB connections around, for example, move the sensors to USB 2.0 ports and leave the Rift in USB 3.0 .. you might not have enough power coming in through your USB ports. Try plugging the rift via a DisplayPort using a dongle. Unplug any secondary monitors you have. For Laptops: Many laptops are incompatible with the rift, this is because the HDMI port is wired to the Intel CPU, and not to the GPU and/or not enough power is being delivered through the USB ports. Use a DisplayPort to HDMI 1.4b adapter, make sure it’s HDMI 1.4b or above so there is enough bandwidth. This may be due to the fact that the link box acts as an Active Powered hub and helps deliver more power into the ports. It may be a good idea to collect your logs and attach them to your ticket. 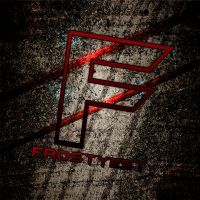 If you have any more to add please do so bellow and ill compile them in. these is my problema. i reinstall , sensors, touch, ok, usb ok, but no hdmi conection? I paid a lot of money , and now dont have solutions for this problem? im from Brazil. What i do? Turned out it's my fault, C:\Program Files\Oculus was junctioned to drive D , deleted the junction and it's installing fine. 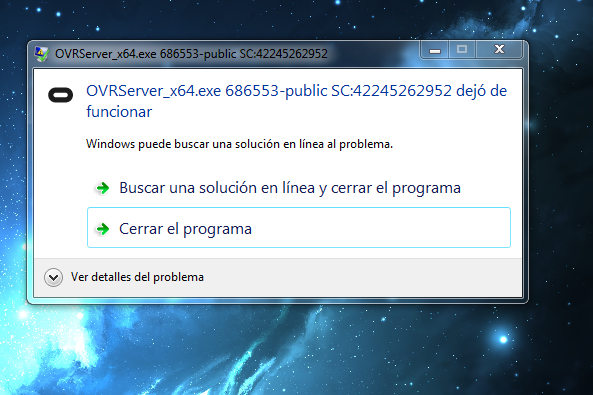 Hi, good afternoon, I’m having trouble starting the oculus.exe, since the Rift Core 2.0 beta has been installed (before the oculus was working perfect), I get the message “OVRServer_x64 … has stopped working”, and if I attempt to start the program I get “We’re having trouble starting oculus” error. I have tried repair and uninstall the software but that doesn’t solve the problem. Do you have any ideas what is causing this? By the way I have windows 7. I am unable to launch the Oculus Suite. I just installed for the second time. Fresh. Deleted all references to Oculus Home and Dash in my users data folder. Install Issue - OCULUS UPDATE 1.32 BLOCKED MY XEON which is more than capable. Basically it says that if you're out of HDMI ports and have Rift + Multiple Monitors, you probably need an ACTIVE Display Port to HDMI for your setup to work! If you are having issues, please don't append them to this thread, rather start a different thread with regards to your specific issue. It's really really hard to help folks resolve computer issues without knowing about their computer. 1) Regarding SLI: I dont think Oculus works in systems with multiple GPU's. 2) I dont think Oculus works with Win 7 anymore. It may be only Win 10. Did a clean install today after not using my Rift for a while. I loaded the software on my second drive with no problems... after researching how. Somehow it knows my account when opening for the first time. Not sure if it is connected with the serial # of my Rift and controllers or if there is something else in my computer that was not deleted or removed when I uninstalled it. 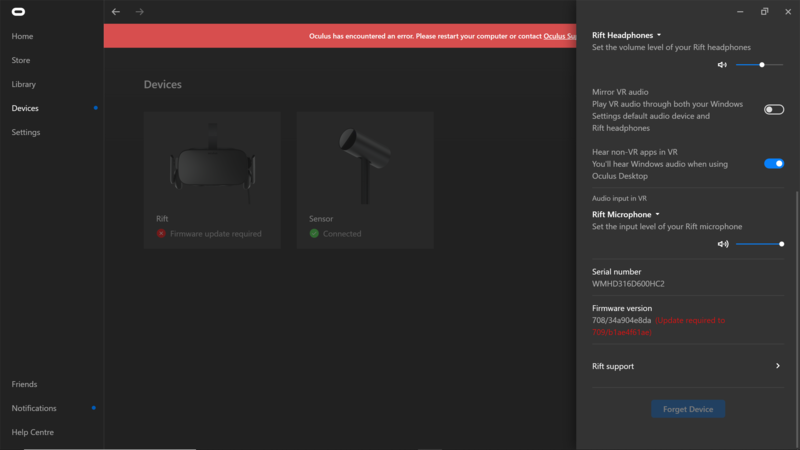 Anyways The Oculus app (running in Windows 10 Home all updated) wanted to do an update. I said ok. I got a message saying "Sorry, we're having trouble updating Oculus. Please make sure you have at least 12 GB of disk space free, or visit Oculus Support to get help." I have 20 gigs free on the main drive over over 100 gigs free on the 2nd drive where the application is installed. 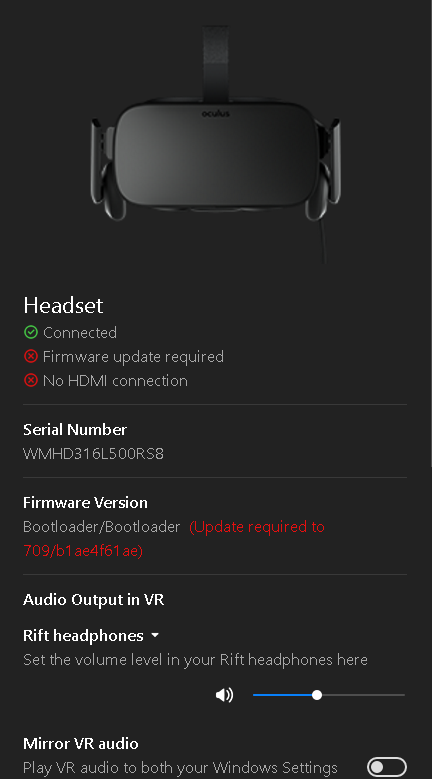 I have no way of trying to update again, I uninstalled Oculus and installed again, same thing had my info there already as well as my headset and all that connected. How do I get this update to work? There is a blue bar across the top that I cannot get rid of. Why does this software not have an option to run or check for updates manually??? Also none of my games or applications that I have purchased are there despite it showing me logged in. I see the games through he website but not in the app. This software is seriously frustrating and wish Oculus would get the basic stuff sorted out before doing anything else. Tiny little helper called "Windows Firewall Controll" does have a security feature to prevent other software setting firewall rules! That´s what happend in my case - and conflicted with the oculus setup and with bigscreens setup too! So, with this option disabled everything runs flawless! Thanks for the guys at oculus support for helping me out!! This is a common issue. For whatever reason, you cannot install the software on a dynamic disc. There is a work around to create a vhd in oder to do so but that is absolutely ridiculous and is just setting yourself up to fail unless you have a spanned drive made up entirely of ssds. Otherwise you are stuck installing on C: which is where it works best. Even if you do get it to install on a different drive, it will have weird bugs and glitches.